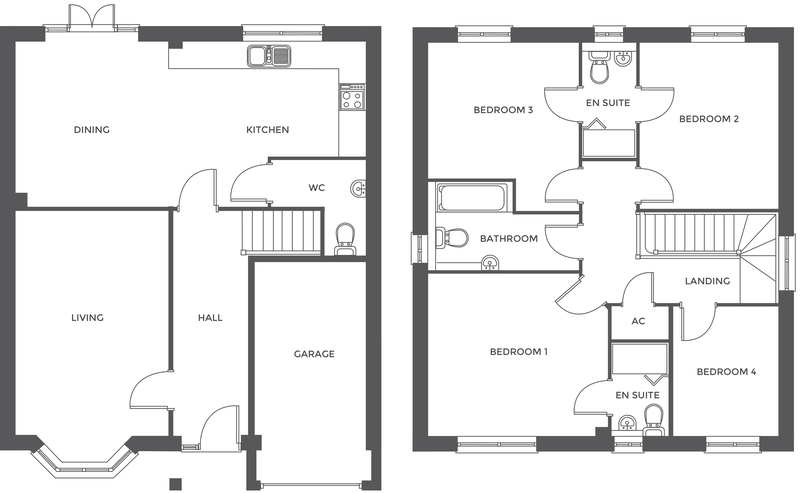 The Rubens is a versatile home with a traditional exterior and practical layout. Downstairs a large kitchen/dining room makes for the perfect family room and benefits from French doors leading to the rear garden, whilst a spacious lounge and cloaks make up the remaining space. From the spacious master bedroom with en-suite to the unusual jack-and-jill en-suite to bedrooms 2 & 3 you will never be short of space in this home; and if that wasn’t enough a fourth bedroom and family bathroom complete the arrangement.